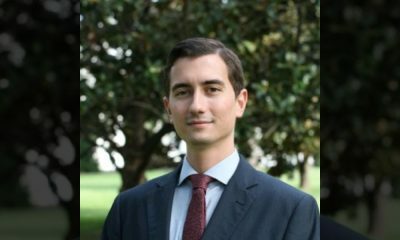 Capitol Hill police on Wednesday were investigating two additional doxxing incidents after a former Democratic congressional intern was accused of posting the personal information of at least three Republican senators during last week's Judicial Committee hearing, sources said. Fox News has learned that the latest alleged doxxing incidents involve at least two more senators, including Sen. Rand Paul, R-Ky. Personal information of Sens. Lindsey Graham, Mike Lee and Orrin Hatch were posted on their respective Wikipedia pages Thursday. All three have professed their belief that Kavanaugh is innocent of the claims brought against him by Ford, with Graham telling the federal judge "you've got nothing to apologize for" amid a fiery rant denouncing Democrats' handling of the allegations. The home addresses of the senators appeared to be correct, though the phone numbers didn't appear to be entirely accurate. A "home" phone number listed for Graham appeared to direct callers to the Sexual Minority Youth Assistance League (SMYAL), a Washington D.C.-based advocacy group. Cosko was most recently working as an unpaid intern for Rep. Sheila Jackson Lee, D-Texas, senior congressional sources told Fox News. In the past, Coscko has worked with other Democratic lawmakers including Sen. Dianne Feinstein, D-Calif., Sen. Maggie Hassan, D-N.H., and former Democratic Sen. Barbara Boxer of California. Cosko was charged with burglary, threats in interstate communication, unauthorized access of a government computer, identity theft, second-degree burglary and unlawful entry. Fox News’ Chad Pergram, Samuel Chamberlain contributed to this report.